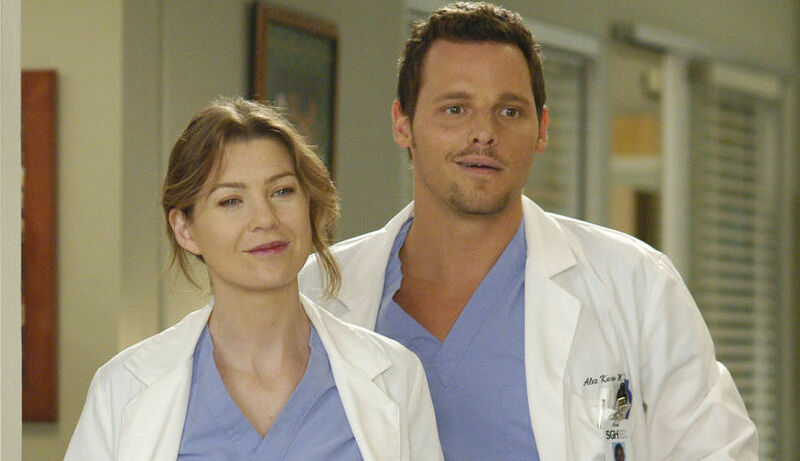 This latest "Grey's Anatomy" news has us screaming "YES!" Can you believe that the upcoming season of Grey’s Anatomy will be the show’s thirteenth!? It seems like only yesterday when Meredith, Alex, Christina (*weeps*), George (*weeps*), and Izzie (*weeps*) were interns at Seattle Grace Hospital. Of course, in the nearly 13 years that have passed, a whole load of shiz has gone down, from plane crashes, shootings, divorces, death, dance parties, more death, tequila rages, more death, and that one time the interns decided to operate on each other in Season 5 (literally, why did they do that!?). At the heart of the show, however, has remained (some of) the core group. Don’t get us wrong, we love all the new characters that have come in and out of the show, but in our hearts of hearts the show will still all be about Meredith Grey. That’s why we’re super pumped to hear that Season 13 of the hit ABC medical drama will go back to focus on the original characters. Speaking to TVguide.com, Kelly McCreary (who plays Meredith’s recently introduced half-sister Maggie Pierce) said that the show’s creator, the incredible Shonda Rhimes, would be bringing things back to Mer, Alex, Bailey, and Richard. We’re always asking this one, but will Izzie come back? What does this mean for Alex and Jo? Does this mean more Miranda and Richard scenes because we LOVE those? Omg, Miranda and Ben are going to be okay, right? Richard is going to be okay, right? ARE ANY OF THEM GOING TO DIE!? Okay, we know this is Grey’s Anatomy so *someone* is going to die, but Shonda, please, don’t kill Richard, Bailey, Alex, or Meredith! It’s not too long until GA is back on our screens. The show returns September 22 on ABC.